Spring renews my desire to entertain. In the coming months, I’ll have friends and family visiting and need a quick, yummy appetizer to serve. 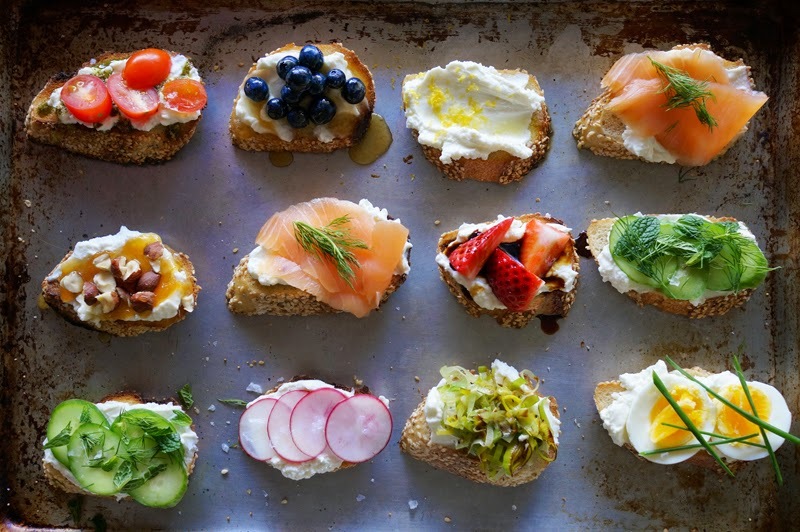 The crostini is versatile and simple and I was inspired by the delectable ones dreamed up by Honestly Yum. With fresh, Spring ingredients available at farmers markets, it’s the perfect season to highlight seasonal produce and quality ingredients. Slice up a baguette and grill or toast each slice. Slather with ricotta cheese for a solid base. Then, add your favorite 2 or 3 ingredients. Almost substantial enough to become a mini meal….which makes them perfect for a Friday night. Especially with a crisp glass of white wine. 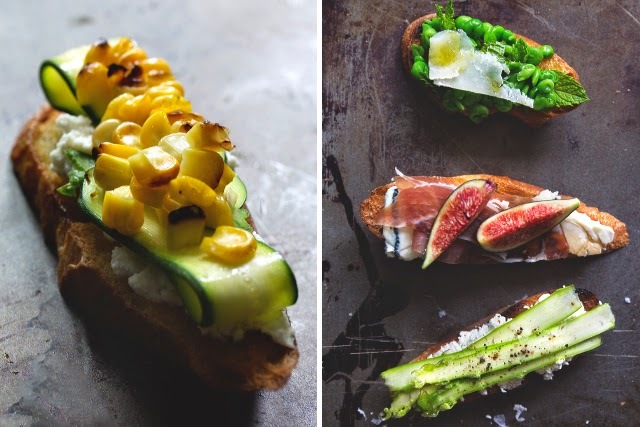 What would be on your ultimate crostini? 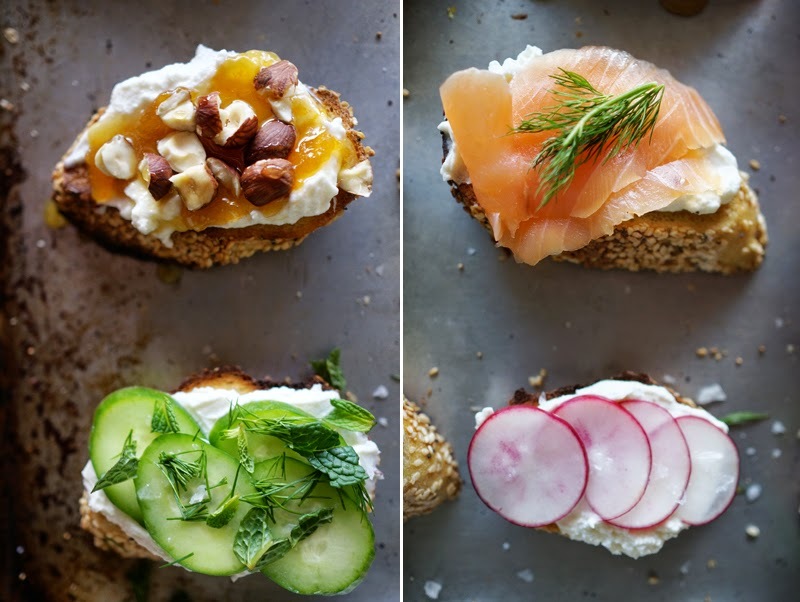 We always do Crostini with Friday night cocktails. Now I have some new choices to add to my repertoire! I love tapenade with smoked salmon or parm. I also use pieces of beef tenderloin with a horseradish sauce. Your blog is always part of my morning ritual. Thank you for all your help. They look positively delish. Have a great weekend! There is something about the weekend and having a meal of bite size something-something and wine. 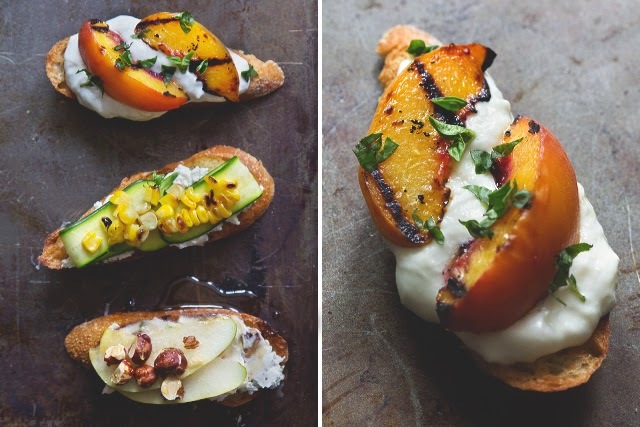 The crostini with grilled peach is calling my name. 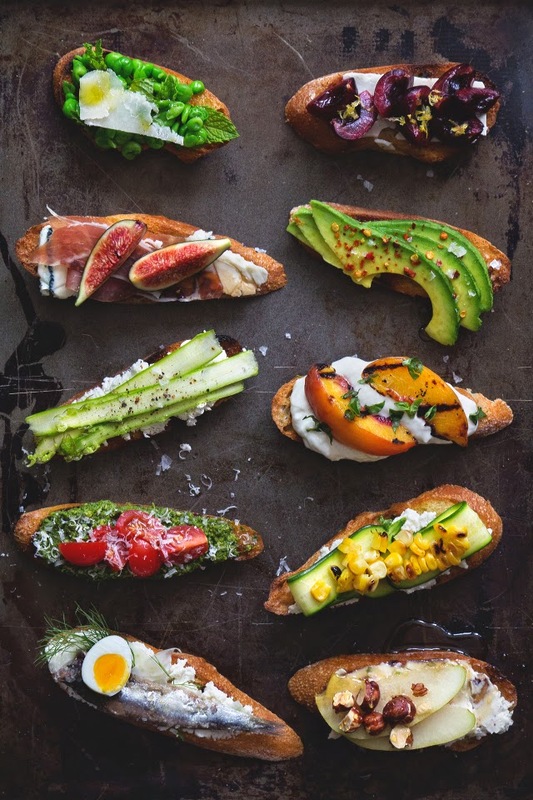 yes, yes yes….LOVE crostinis and frankly could live on these, and what a beautiful way to elevate the taste and aesthetic of this favorite little snack. Thank you for the ideas as these are always on menu for warm weather entertaining. I have not eaten breakfast yet and this is making my mouth water! Have a great weekend! Yum, perfect crowd pleaser for sure!